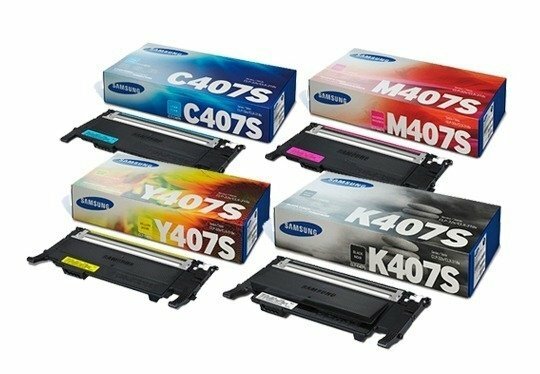 (1) Cartucho Samsung C407S cyan. (1) Cartucho Samsung Y407S amarillo. CLP-320 - CLP-325 - CLP-320N - CLP-325W - CLX-3180 - CLX-3185 - CLX-3185N - CLX-3185W - CLX-3185FN - CLX-3185FW.